Finland’s greatest soccer player of all time has a carer which spanned four decades and has inspired a strong of great players of today including Wayne Rooney. Rooney considers Litmanen to be his soccer hero; it comes as no surprise that the dynamic Finnish is immensely missed in the soccer world following his retirement from the game in 2011. He is affectionately referred to as ‘Litti’ in Finland and ‘Kuningas’ which translates to the King. He remains the only Finnish player to get signed on for Liverpool. He is fondly remembered for his soccer talents and is considered to be not only one of the most intelligent players in the field but also one of the classiest. On the soccer field he was known for the accuracy of his passes and was a master orchestrator of the ball. In a sport full of egos Litmanen was a gem who stood out for his leadership qualities and was a strong team player. 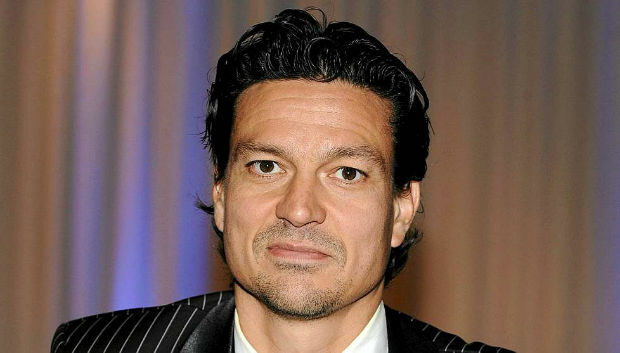 Jari Olavi Litmanen was born in 1971 in Lahiti, Finland into a family of soccer players. His father Olavi Litmanen was also a soccer player and his mother played for the women’s national team. Despite strong soccer influence a young Litmanen initially struggled to decide in between ice hockey – another sport which he was exceptionally good at and soccer. Ultimately in the end soccer triumphed and he first played for Reipas Lahti followed by Mypa. This was eventually followed by the defining moment of his life when he joined the Ajax team and became their star player. At Ajax he became their central player due to his strong willpower and persistence. He played an important role in the club’s journey to the final in 1994. That same year he became the club’s top scorer and went on to be voted as Footballer of the Year. Within a few years he made a move to play for Barcelona where injuries prevented him from playing to his full capability. He then moved to Liverpool in 2001 which was a complete reversal of fortune for him. Within a few years he led his team to win the FA Cup, League Cup and the UEFA Cup. For many soccer lovers and critics he became known for his goals, assists, threats, lungs and that brain which made him stand out from other soccer players during that time. Litmanen’s ability to remain calm under pressure situations during matches is also a testament to the player’s strong mental strength. Instead of fist slamming and ball bashing Litmanen was known for his skills and techniques for placing the ball around and was always there for his team during the direst times as well. He remained a key player for Finland’s national soccer team for a strong decade, yet despite Litmanen’s strong inclusion Finland failed to make a mark on the international circuit as a team to be reckoned with. Despite this Litmanen deserves full credit for bestowing his leadership and tactical learning skills for his national team. Amongst his many accolades he was chosen as the best Finnish player of the last 50 years in the UEFA Jubilee Awards in 2003. The AFS list Litmanen 53rd on their list of ‘Greatest Ever Footballers’. In 2010 Litmanen was honoured in his home town with the unveiling of his statue which still stands today.